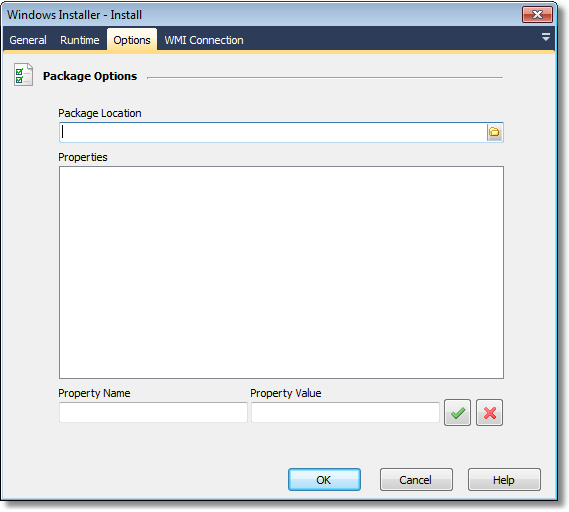 The Windows Installer - Install action enables a windows installer package to be installed on a local or remote computer. The location of the package to be installed. The package must be accessible by the computer on which it is being installed. The properties to be passed into the installer.